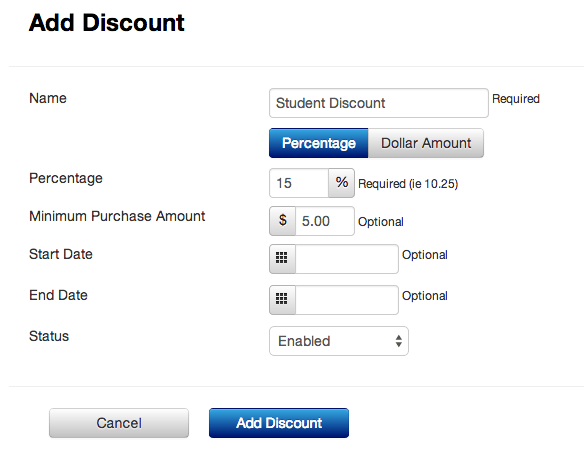 Discounts allow the merchant to set their reasons and percentages for discounts (such as student discounts). The merchant can set a start and end date for the discount to be applied. The status can be changed to enabled or disabled. If disabled, it cannot be applied from the app.